Gerbera Daisies are a classic flower that display a beautiful large bloom on a long wavy stem. These Daisies come in vibrant bold colours like orange, yellow, pink, red and white. Our assorted Gerbera will give you a combination of such stunning colours that will allow you to brighten up any occasion. Our California grown Gerbera flowers are of premium quality. 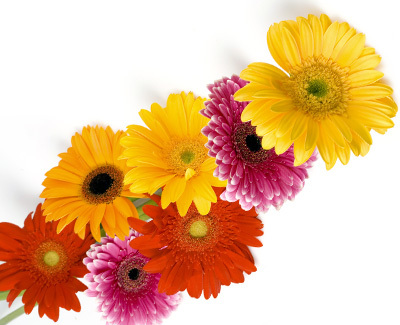 Get the farm fresh assorted Gerbera Daisies delivered today at a great wholesale price.